Public WiFi hotspots are being set up by BSNL in Har Ki Pauri, Haridwar, to promote tourism on the banks of the Ganges. 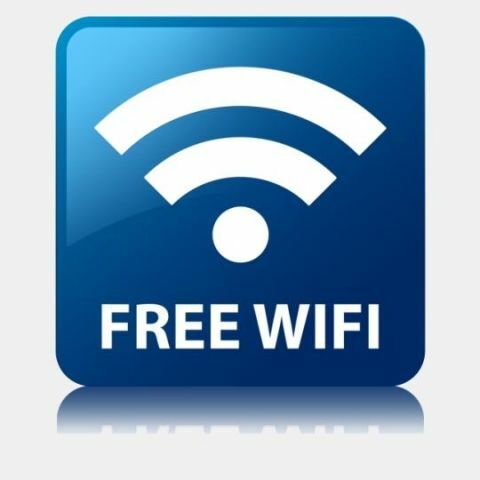 Bharat Sanchar Nigam Limited (BSNL), the State-run telecom service provider, has started providing free internet via WiFi hotspots in Har Ki Pauri, Haridwar, in an attempt to promote tourism in the popular river bank by the Ganges. BSNL has partnered with Trimax to provide this service, which will be free for the first 15 minutes. Subsequently, users can recharge online or buy coupons for extended usage. An added 30 minutes of internet will cost Rs. 30, while 60 minutes will cost Rs. 50. Two hours of browsing will cost Rs. 90, and Rs. 150 will allow unlimited usage of the public internet facility. A report by Asian News International has mentioned Sri Ganga Sabha General Secretary, Ram Kumar Mishra, stating that this move has been done expecting tourists to “share activities taking place at Har Ki Pauri with their family and friends with the help of wi-fi hotspot service”. Such actions are now being taken in light of growing connectivity in India, with internet services being a major aspect for tourists to consider visiting a place. Additionally, destinations are also expected to gain more popularity, with wider social media coverage encouraged by internet connectivity. India’s state of Internet connectivity has been a much debated and discussed issue over the recent past. While connectivity is steadily improving, 4G LTE services are about to roll out to the masses, and more focus is being given to rural areas, which remain either disconnected, or poorly connected to the internet, as of today. While Google’s balloon-powered Project Loon has been sanctioned in India and aims to beam 4G internet connectivity to areas difficult to connect and reach out via physical means, the likes of Facebook’s Free Basics have come under massive scrutiny. Free Basics claims to provide the basics of internet services for free to the rural masses, while people have opposed Mark Zuckerberg’s initiative, claiming this to be a violation of net neutrality in India. We conducted a survey that has till date gathered around 750 opinions, and here is what people have had to say about Free Basics in India. Nevertheless, with a major push for more internet hotspots and public internet connectivity, India may have much improved connectivity by the end of 2016.